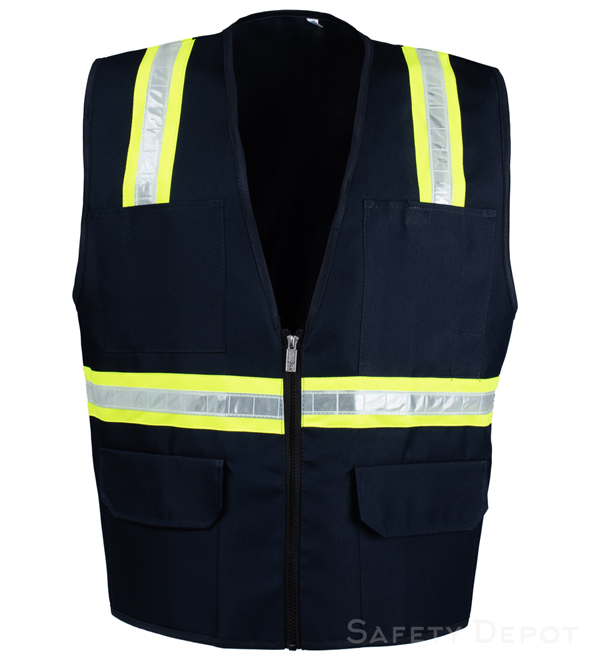 Our vests are tailor made with high gloss PVC tapes. Order up one size for a great fit. Perfect for Phoenix, Arizona. From Anonymous of Van, British Columbia on 7/8/2018 . From James Garcia of Los angeles, California on 6/27/2017 . From Terry Davis of Fruitland, New Mexico on 3/20/2017 . From Fernando Rojas of Long Beach , California on 1/16/2017 . Great vest .. high quality product ..
From Ron Noda of San Jose, California on 10/26/2016 . Very happy with fit and function of this product. My order was handled in a prompt and professional manner as well. Thank you for providing a product other than one size fits all, which never works for me. From Lynn Humes of Morrison, Tennessee on 10/19/2016 . From Anonymous of Lancaster, South Carolina on 8/15/2016 . From Christof Stolarczyk of San Diego, California on 6/27/2016 . Excellent value! Customization available upon request at a reasonable cost. Very helpful staff. Highly recommend. From Anonymous of los angeles, California on 5/1/2016 .